India's ongoing election will be the biggest democratic exercise in history, but depending on turnout, Indonesia's on Wednesday might be the biggest single day election ever. 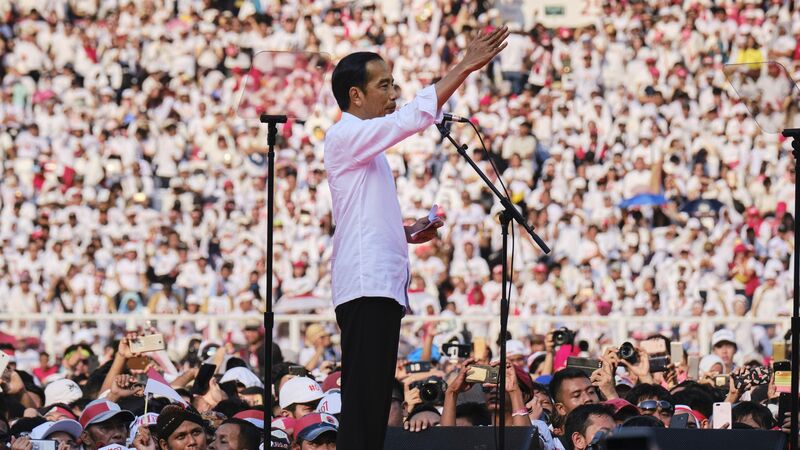 The big picture: Joko Widodo (known as Jokowi) is Indonesia's first modern president from outside the military or political elite, and massive expectations accompanied him into office in 2014. He has long been expected to secure re-election (most polls have showed him leading by double-digits), but he played it safe by picking a conservative cleric as his running mate. The contrast with his opponent, Prabowo Subianto, remains stark. A former general, he has been accused of ordering abductions and torture, among other abuses (he denies responsibility).